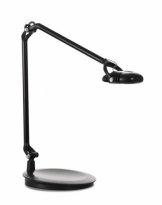 Featuring advanced LED technology, the Element Classic Task Light combines aesthetics with unmatched lighting performance. Using only six watts to produce incandescent lighting levels, the Element series boasts a 50,000-hour lifespan—25 years of daily use in a typical 9-to-5 office environment. 1. What Color-Rendering Index (CRI) should task lights have? CRI is a method for describing the effect of a light source on the color appearance of objects being illuminated. A CRI of 100 represents the reference condition of daylight (and thus the maximum CRI possible). In general, low CRI illumination may render some colors unnatural and lamps with a CRI under 60 should not be used. It has been proven that at a certain point, the higher the CRI, the lower the illuminance. A CRI in the 80s is a good benchmark for all general tasks. 2. What is MCX LED Technology? MCX LED Technology is the groundbreaking technology utilized by Humanscale's Element light. 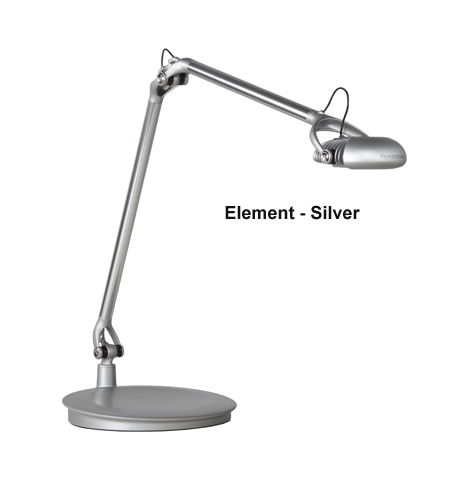 MCX, which stands for Multi-Chip Extended, refers to Element's unique multi-chip LED, which not only provides a more extensive life than traditional LEDs, but forms an extended bar shape for an exceptionally large footprint of light. MCX Technology is revolutionary in a number of ways, and overcomes many of the weaknesses of traditional LED technology.